The .22 long rifle, or .22 LR, is arguably the most common and popular rifle cartridge in the world. The .22 long rifle is a versatile round offering accuracy, light recoil, and economical shooting. Developed in 1887 by J. Stevens Arms & Tool Co. the beloved cartridge is estimated to be in production of 2-2.5 billion rounds per year. .22 LR lends itself to all kinds of shooting disciplines including target shooting, plinking, small game hunting, and shooting education. Odds are the first rifle you ever put to your shoulder was a .22 LR. Due to its immense popularity and vast versatility, the .22 LR is offered in just about every rifle type and action imaginable. From bolt action to semi-auto, break open and rolling block, and even lever action; there is a .22 rifle for every day of the week. Many shooters grow up plinking with a .22 LR and iron sights, learning to shoot and developing a love of the .22 rimfire rifle. Mounting a riflescope atop of a rifle chambered in .22 long rifle opens up a world of new shooting opportunities and better equips it for activities such as hunting small game, target shooting, and preparation for big game season. There are many options on the market today by trusted manufacturers in scopes made just for rimfire cartridges. Setting up a .22 rifle with a riflescope creates a versatile tool that is practical in so many applications. Deciding which scope is the best fit as a .22 long rifle scope for you and your rifle takes some consideration. Putting the versatile .22 rimfire cartridge to work in a special use case scenario, means topping it with the .22 rimfire scope that is best suited for the job at hand. Take a look at some of these scope options, how they fit your shooting needs and style. There is no other rifle caliber more suited to hunting and taking small game than the.22 long rifle. The pursuit of squirrels, cottontails, and jackrabbits for sport and table fare can find no better fit than the classic .22 rifle. In the north and west, many states allow the taking of grouse with a .22. 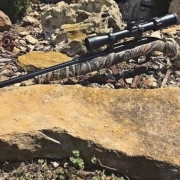 Sneaking through heavy conifer forests, creek bottoms, or hardwoods with a rifle combined with a rimfire scope makes for an efficient and practical tool. Taking advantage of small game seasons in between big game hunts keeps hunters sharp, and extends time in the field. The .22 LR is also a formidable tool for varmint control. Small, quiet, and accurate; a. 22 rifle is an excellent choice for taking care of critters like pack rats and possums, all the way up to crows and raccoons. Having a handy rifle on hand chambered in .22 LR for varmint control is a tool for every farm, ranch, and camp. Outfitting your .22 rifle with a fixed 4X scope like the Weaver Rimfire 4X28 Dual X is a great option for a small-bore rimfire hunting rifle. 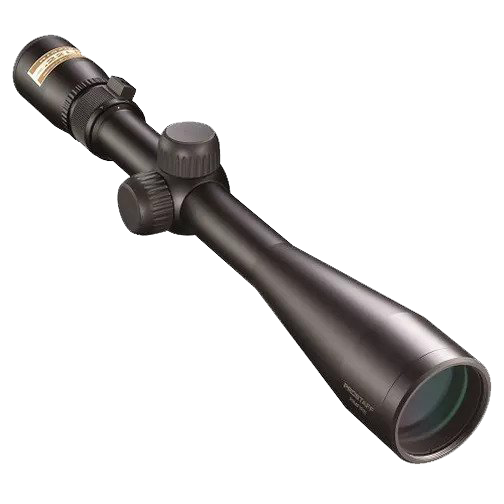 The simple fixed magnification and instant focus on a fixed power scope is ideal for the .22 rifle and its effective range. Spending time behind the stock of a big game rifle is an excellent way to develop accuracy and consistency. However, continued recoil can take its toll, and the repeated pounding from most centerfire hunting rifles can cause a shooter to develop a flinch in anticipation of the shot. The cost of shooting large caliber rifles is also a concern when you’re putting in time behind a riflescope in preparation of hunting season. If you run a hundred rounds through your centerfire big game rifle on a Saturday afternoon, both your wallet and your shoulder will take a pounding. One fantastic solution to the recoil and expense dilemma is to build a copy of your big game rifle chambered in .22 LR. With so many .22 rifle options on the market, chances are you can find one extremely similar to your hunting rifle. Look for features like a quality trigger that is similar to the one on your hunting rifle, comparable weight, fit, and feel, and of course top the new rifle with a similar scope that you run on your hunting rifle. 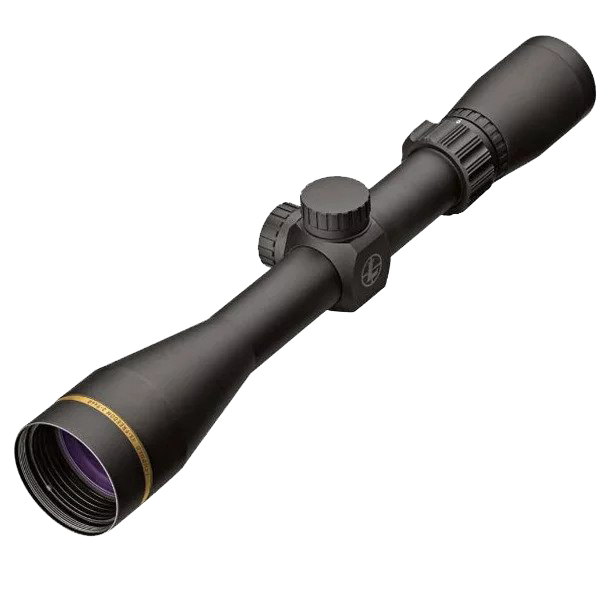 The Leupold VX-Freedom 3-9X40 Rimfire on a .22 LR bolt gun is an amazing choice for a clone rifle replicating the ever popular bolt action rifle with a variable scope. This waterproof and fog proof optic offers unbeatable optical performance at a price that is easy on your paycheck. Cost savings and reduced recoil not only come into consideration for big game hunters, but for target shooting enthusiasts, new shooters, and plinkers as well. Twenty-two caliber rifles are practically perfect for learning the basics of shooting, for plinking at tin cans, and can be accurized for dead on precision as well. Another aspect of shooting a .22 long rifle is the advantage of utilizing indoor shooting ranges. Spending time at an indoor range during extreme weather opens a door to a new block of time behind the trigger. 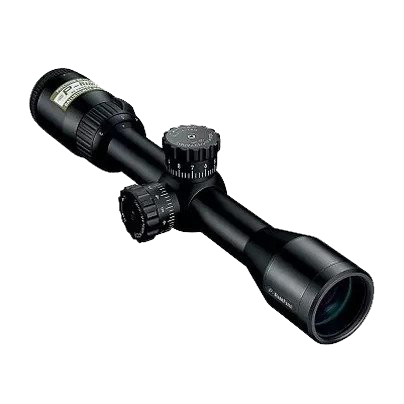 A basic variable scope that is lightweight with adjustable zoom and focus makes for a practical all-around optic for a practical all around rifle. The Nikon ProStaff Rimfire II 4-12X40 with BDC reticle is the perfect match for an all around .22 rimfire scope and rifle matchup. 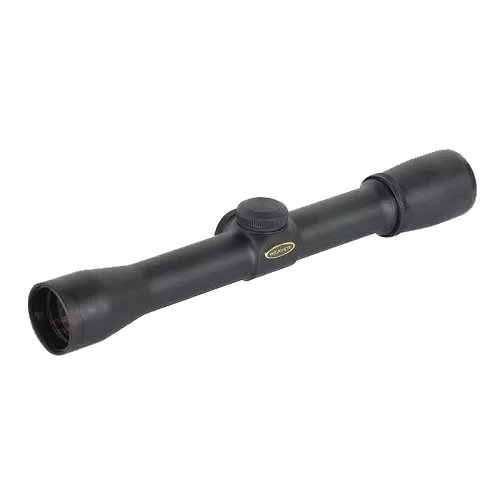 With adjustable magnification from 4 power all the way up to 12, and the light gathering capability of a 40mm objective lens, the Nikon Prostaff Rimfire is as versatile as the .22 caliber cartridge. Tactical shooting, drills, and practice are not immune to the same woes of shooting big game rifles when it comes to cost and recoil. Many shooters cherish going the range to work on tactical drills and training and experience a need for something cheaper and more forgiving to shoot. With either a bolt gun in hand, a repeating rifle such as the ever popular 10-22, or one of the many available AR-style rifles chambered in .22LR; the advantages that come with shooting the .22 rimfire cartridge come into play. Optics manufacturers have taken notice of the emerging trend of tactical shooters investing practice time with rifles chambered in .22 long rifle in hand. There are options on the market for tactical style scopes designed specifically as .22 rimfire tactical scopes that will fit your tactical rifle and shooting style like a glove. Nikon’s AR P-Rimfire 2-7X32 with Nikoplex reticle is a perfect example of tactical glass made just for tactical style shooting. Designed with large easy to adjust tactical style turrets and engineered just for the .22 long rifle cartridge, the Nikon AR P-Rimfire is an excellent choice. No other rifle cartridge is as easy to shoot, cost-effective, and commonly available than the .22 long rifle cartridge. Building a rifle chambered in such a versatile and flexible round obviously calls for a quality rifle scope to match. Whether you’re planning on taking small game, plinking at the range, working on tactical drills, or developing accuracy; a .22 rimfire rifle topped with a .22 rimfire riflescope is just the ticket. Nikon’s new Long-Distance Rangefinder, the Black RangeX 4K!